Are Cheap Cribs Worth It? 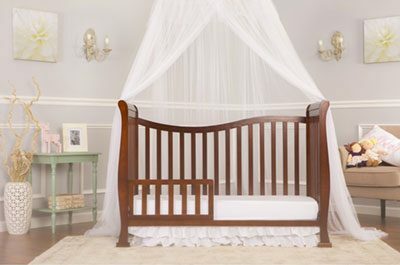 Cheap Baby Cribs - Are They Worth It? Portable Crib Mattress Buyers Guide – What You Need To Know! The ultimate guide to baby cribs and cots online. We bring you the best content to help you make the right buying choices for your nursery. 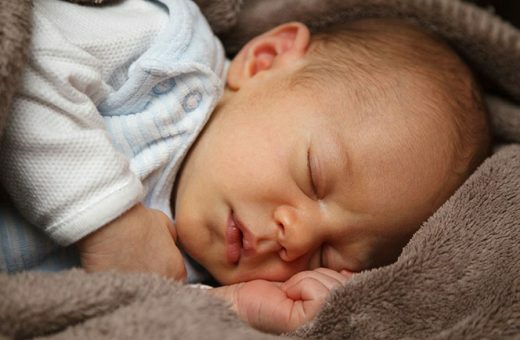 The only time you won’t be attending your child is usually when they’re sleeping – although for new parents, you may check in on them more than a few times a night. 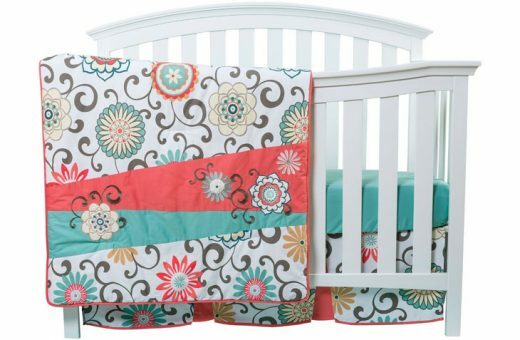 For both styles of parents, you’ll want your baby to be sleeping in the best crib possible. In purchasing the best baby crib for them, you’ll ensure their safety and comfortability as they grow during the most pivotal period of their life. 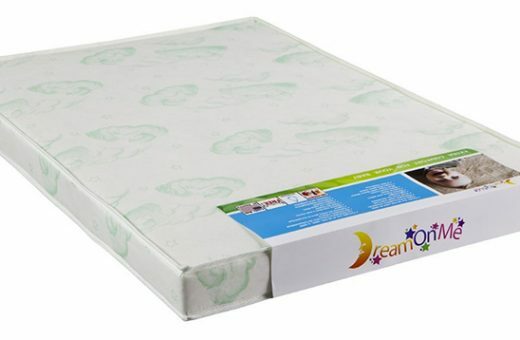 Introducing healthy sleeping products such as cribs and beds at an early age will help their body benefit. A bad crib and bed could harm the growth of their little bodies. Here, we’ll present to you a brief guide to buying the perfect baby crib for your perfect little one. How Long Will My Baby Use a Crib for? One of the most popular questions experts are asked, we have answers. Typically, cribs are used for no longer than 24 months, or two years. 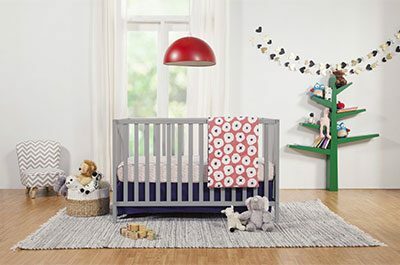 While this will vary from baby to baby, if they begin to become too big for their crib, it’s time to convert the crib into a toddler bed or purchase one. Another way you can tell that they’re ready for “no crib” is that they’re escaping pretty easily. It’s also important to note that you should purchase a crib before anything else. 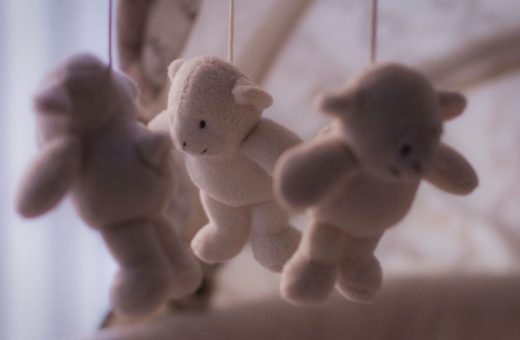 Some companies take a long time to ship out cribs, and it’s important that you have one for your third trimester, especially as a first-time parent. Those that are going to be first-time parents may not know how their body works when carrying a baby – they can come much sooner than you think. In being prepared, you won’t have to worry about where your little one sleeps when you’re both released from the hospital. 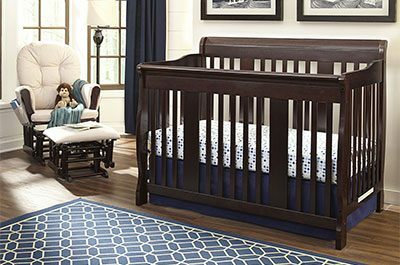 Convertible cribs are currently on of the most popular as they turn from a standard crib into a day bed, toddler bed, and twin sized bed. Being one of the most cost efficient, you can purchase this pre-birth and have them use it all the way until middle school or high-school, depending on when you want to purchase a full sized or higher. A standard crib is just that – a standard crib, not portable and not something that’s convertible. It lasts the first 2-3 years of your baby’s life and then you can stow it away for your next child or someone else in need. They’re usually sturdy and long-lasting, regardless, and one of the most inexpensive on the market. A travel crib is extremely convenient and a little different than a portable baby bed. Typically, the travel crib has a bag and folds up easily for portability. Because they’re composed of light materials like aluminum and mesh for ease of folding, they aren’t meant for longtime use, as they aren’t extremely sturdy regarding longevity. Wear and tear will wear down this type of crib. Portable baby beds are perfect for those who move a lot between places and need something temporary until the real baby bed is put together. An on-wheels product, the ease of use for this crib is quick and easy. Don’t worry about safety, as the caster wheels lock into place once your baby is ready for sleeping. Multipurpose cribs – A multipurpose crib usually has another piece of furniture designed into it. In most cases, it’s a baby changing station for a 2 or 3-in-1 appeal. Round baby cribs – Victorian inspired, this isn’t a common type of baby crib, but they exist. They aren’t very popular because the sheets and other linens aren’t easy to find and are more expensive to purchase. Because of their shape, babies outgrow this style very quickly regarding length. · What’s your budget or price range? · How much space do you have to spare? · What assembly does the crib require, and how much can you handle? · Do you need an adjustable mattress height? 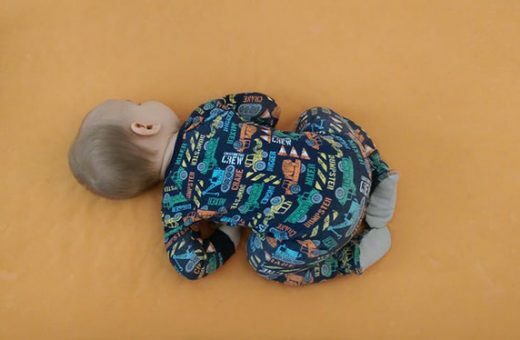 · Does the crib have a teething rail? These aren’t the only questions to think of, but they’re the most imperative currently. A budget is essential, as some new parents can’t afford the most expensive things – finances are necessary when having a baby, after all. Space is also important as you can create more space out of thin air – adding extensions to your home cost money. While the assembly is something mandatory that has to be done, it’s usually the last thought, if at all. Parents just think, “I can do it” without even reading what type of assembly it requires. Adjustable mattress heights are important for when a baby gets to the point that they’re able to pull themselves up. Being able to drop down the bed makes it so that the baby can’t climb out easily or at all. Last but not least, the incorporation of a teething rail is imperative when it comes time for teething. Babies usually latch on to edges to put pressure on their sore gums and teeth. When their teeth begin to grow in, the sharp teeth scratch at the wood (or plastic), damaging their mouths as well as the baby crib. Preparing for this is important! Your baby’s health is important. Baby cribs and beds play a pivotal role in the proper growth of your child, allowing their bones and body to adjust to life and gravity accordingly. In knowing a little bit about baby beds and what style you’ll want and what to look for, you’ll be able to feel confident about your final choice.